Spiced plum upside down cake is a lovely upside down cake topped with caramel brown sugar and cinnamon super juicy plums. This cake takes just an hour to prepare from start to finish, but will be gone much quicker! 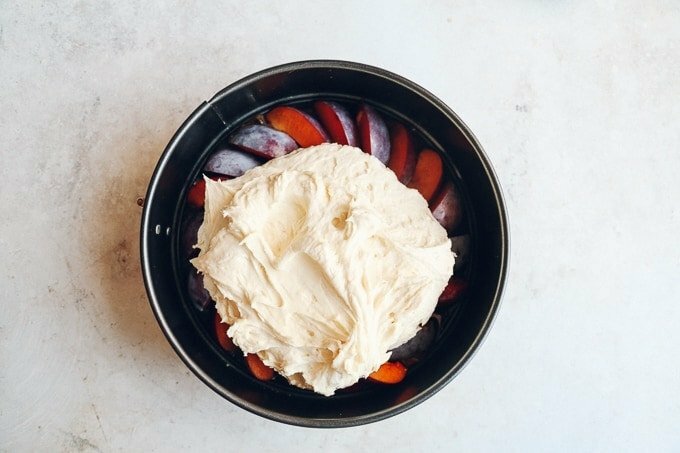 Do you ever bake with plums? 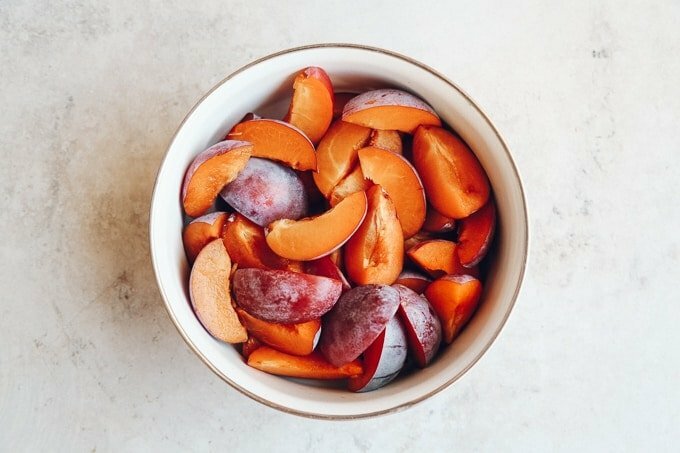 Plums are perfect for baking as when they’re cooked, they become super juicy and sweet. 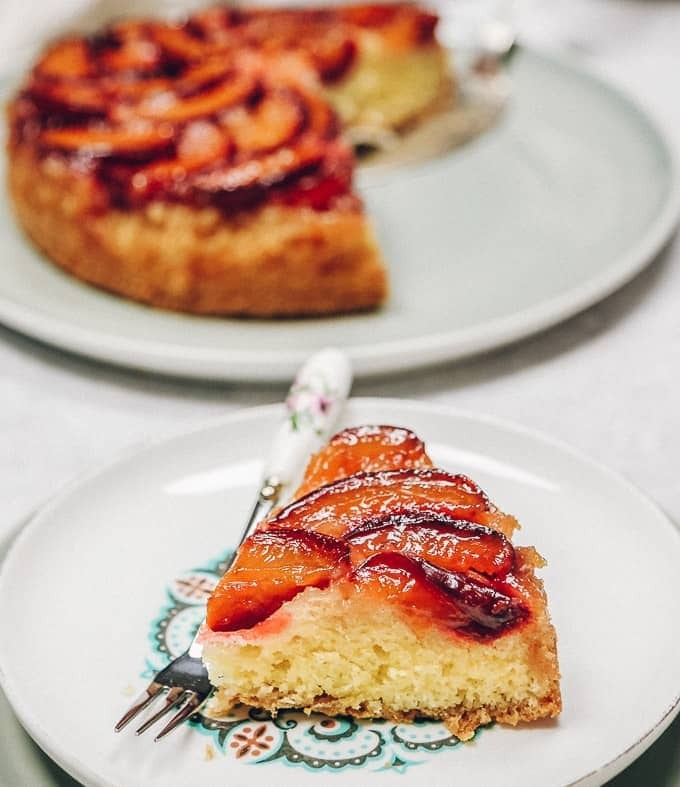 Try this plum upside down cake, you will love it because of how amazing the light but rich sponge cake goes with the sweet caramel plum topping. This cake is just the right combination of fluffy and light but it’s also quite rich. It’s very similar to Victoria sponge texture, and perfect with the caramel plum topping. What I love about this plum cake is that it’s not too sweet, it’s just right. Only 17o grams of granulated sugar goes into the cake, and the topping is also sweet as it uses brown sugar that later turns into caramel. However, it’s not overly sweet – it’s just right! When I first baked this cake, my whole family were around and it was gone before it even could completely cool down. I made it again on the next day to make sure that the recipe is perfect, but honestly it was a good excuse to indulge in this extremely delicious cake. And trust me, you won’t be able to stop at just one slice. I LOVE baking upside down cakes! They’re easy to make but are very impressive. I love the fact that you get a juicy topping over the cake, and the cake itself is always very fluffy and light. Plus, you can make an upside down cake with almost any fruit that you like. I love the classic pineapple upside down cake, but my favourite is probably this spiced banana upside down cake. 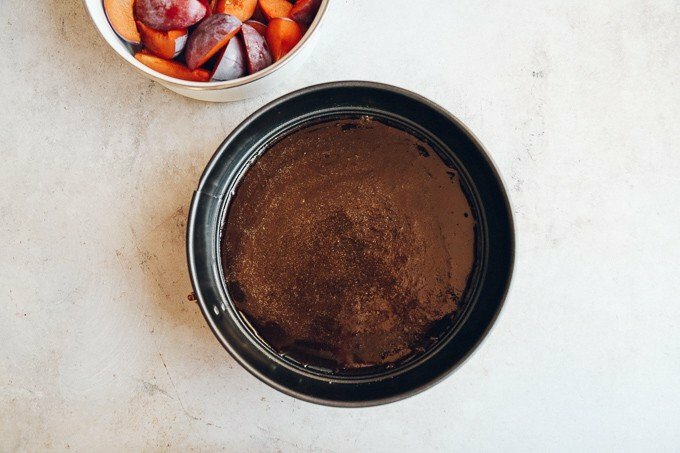 It’s just SO good that I’m sure if you try it, you will bookmark the recipe and most probably print it out too to make again. Step 1. Preheat oven to 180c and grease a 9inch/20 cm springform. Step 2. In a saucepan, melt the brown sugar, with water and a pinch of cinnamon (you could also add a little bit of ground nutmeg if you like spicy). Bring to a boil, and remove from heat. Step 3. 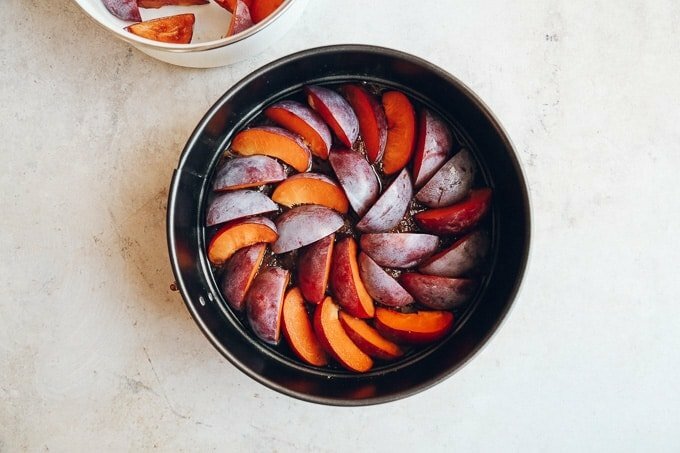 Pour the melted brown sugar at the bottom of the baking tin, and arrange the sliced plums over the melted brown sugar in a pattern. Step 4. In a mixing bowl, beat TREX non dairy butter with sugar until the texture is fluffy and creamy. Step 5. Add eggs one at a time and beat using a stand or hand mixer. Add salt. Step 6. Sift flour with baking powder, add to the mixture and mix the batter until well combined. The batter will be thick and creamy. Step 7. Spread the batter over the plums, and using a spatula even it out. Bake for about 40 minutes or until a toothpick comes out clean. To serve, let the cake almost completely cool down then remove from the spring form, and place on a cake dish. Slice and enjoy! I recently discovered Trex non dairy butter, and have been using it for my vegan and non vegan bakes. I noticed that it whips up very easily and becomes creamy even when used straight from the fridge, unlike other solid vegetable oils that I’ve used before that needed to be at room temprature before using. 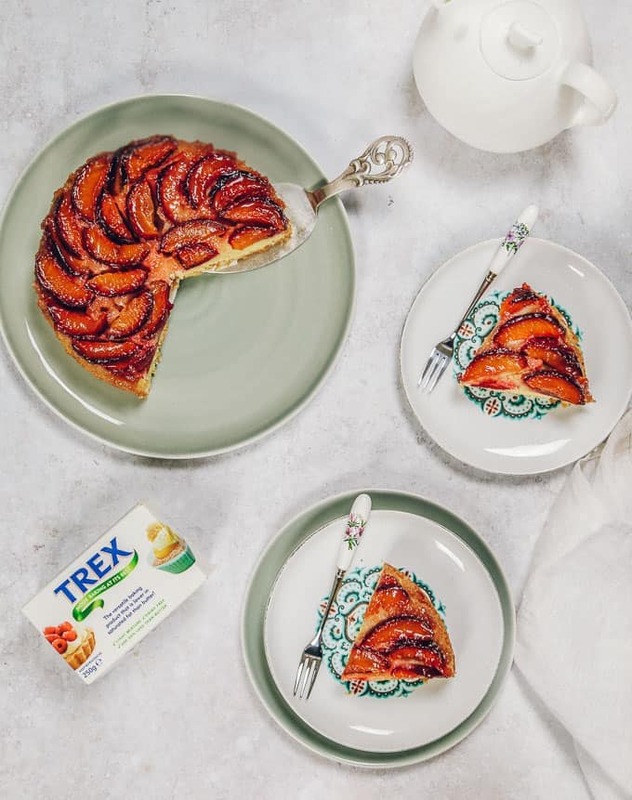 Trex is completely white in colour which makes it perfect to use in vegan frostings, icings and vegan butter cream. 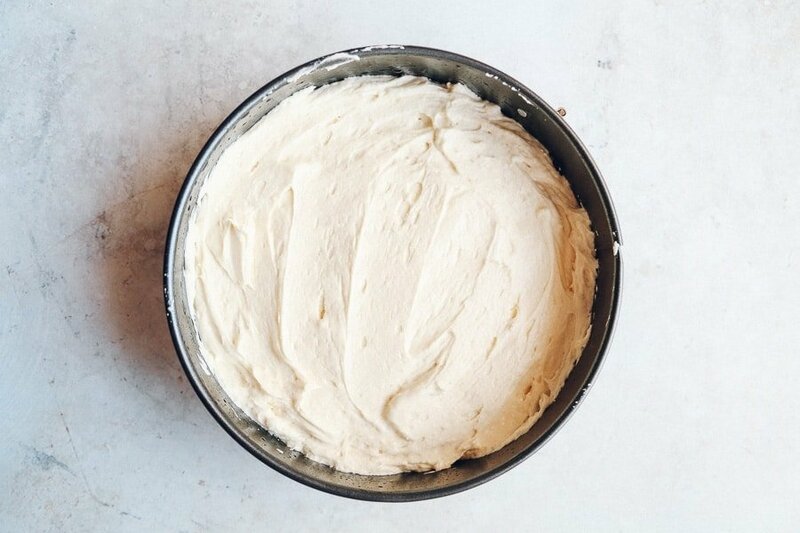 It’s great for baking in general, and adds extra lightness and fluffiness to your cakes. I’ve also used it to bake biscuits, and really liked the lovely crisp. It’s also quite healthy, as it’s lower in saturated fat than butter so I’ve been using it for my vegan and non vegan bakes to make them healthier, and you can actually use 20% less. It also contains no hydrogenated vegetable oil, e-numbers, colours or preservatives. If you’re looking for more plum cake recipes, you really need to try this German Plum cake! If you try this plum cake recipe, please don’t forget to rate this recipe and share a picture on social media. Tag #LittleSunnyKitchen in your posts as I would really love to see what you make! Thank you for supporting Little Sunny Kitchen, so I can keep sharing my family recipes with you for free. Preheat oven to 180c and grease a 20cm or 9inch springform tin. 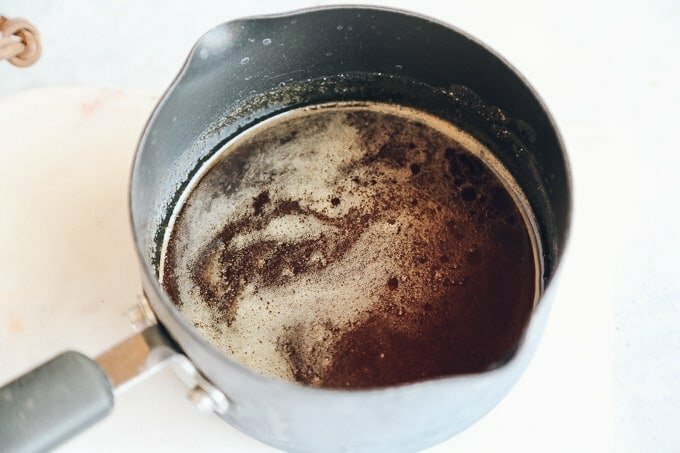 In a saucepan, melt the brown sugar with cinnamon and water. Add the melted brown sugar to the baking tin, then spread the plums over the brown sugar in a pattern. 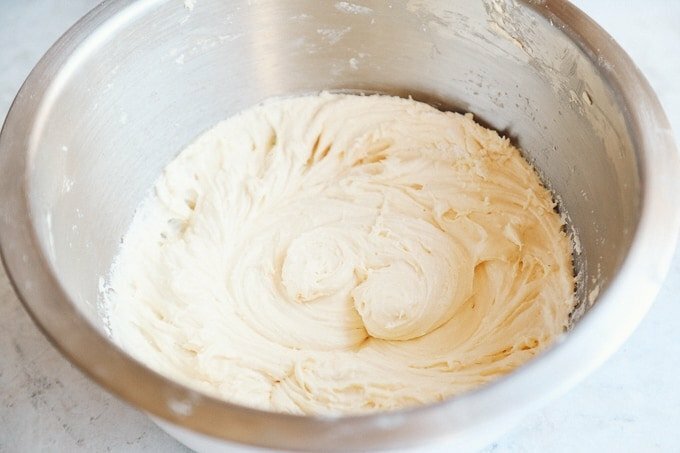 In a mixing bowl, beat butter with sugar until smooth. Add eggs, one at a time and beat using a stand mixer. Add salt. Sift flour with baking powder, add to the mixture and mix the batter. The batter will be thick. Bake on 180c for 40 minutes or until a toothpick comes out clean. This post is sponsored by Trex. Thank you for supporting the brands that make Little Sunny Kitchen happen. All opinions are my own. I have never tried to make an upside down cake, but this is clear and concise recipe to follow, Also I like plums and never really get arounf to eating them that often! Ive never tried making an upside down cake! Now is the time to have a go! 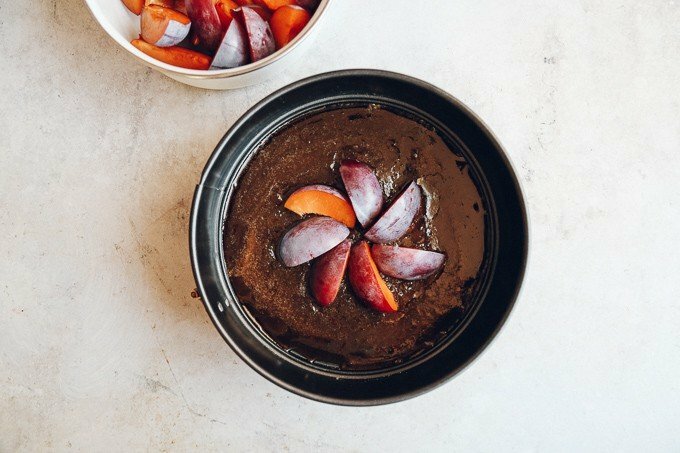 I love upside down cakes but I’ve never made a plum one so this is such a good idea! I’m not surprised you wanted to make it again the next day! Love Plum cakes and this one looks absolutely delicious! This looks delicious. Will definitely be giving this one a go! Such a gorgeous sweet treat! I love how you showed all of the steps and I can’t wait to give this a try myself! 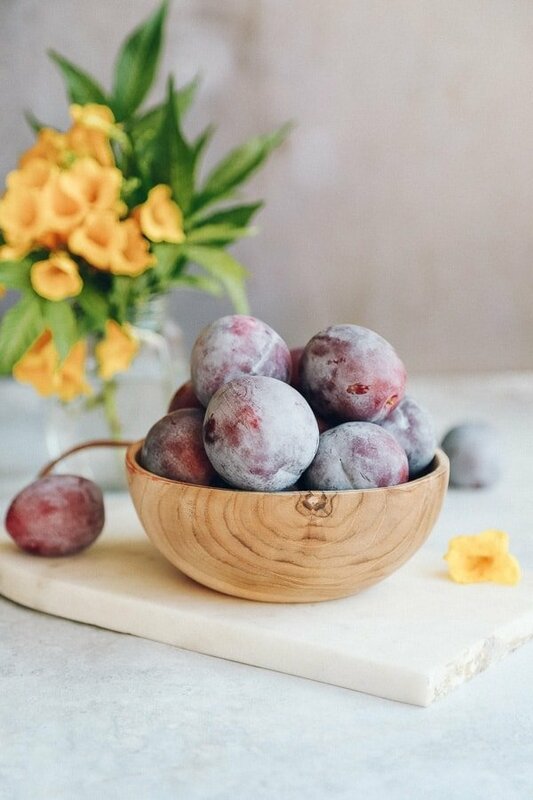 plums are my all-time favorite fruit! I especially love them in baked goods! This cake looks so very moist! I want to grab a piece right off the screen! This is such a gorgeous cake! Perfect for the holidays! What a delicious recipe! Plums definitely don’t get enough love – they are so good in a cake like this! My grandmother used to make a lot of plum cakes, especially during the plum season. Plum cakes taste amazing and yours look just perfect to me :)!